Samsung Galaxy Note 8.0 feels very different from any other usual tablet. It is visibly wider even though it still feels equally comfortable in hand. 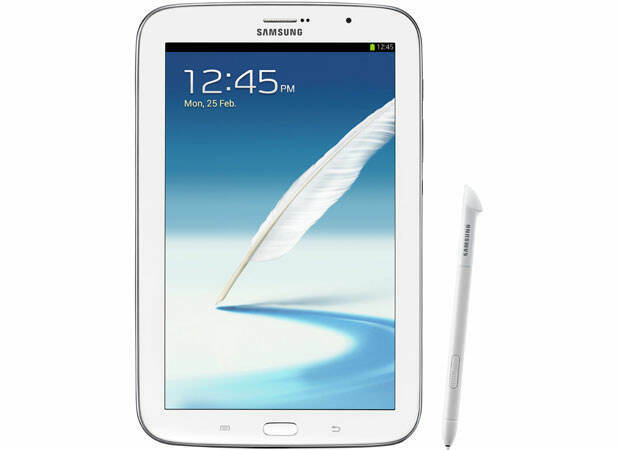 Samsung Galaxy Note 8.0 has an elegant design which is simple but attractive along with smooth corners and edges. Note 8 has been designed to be created with the same materials like Note 10.1. However, there is a little bit of more metal used for the sake of durability. This has a fairly thin body which weighs just 0.74 pounds, which means it is just marginally heavier than iPad Mini. There are three buttons: back key, home key and menu key. Samsung offered the supplementary capability to use an S-Pen in addition to those three buttons. This is something which was missing in Note 2. There is a gyroscope, a digital compass and accelerometer. The tablet is going to be available in both 32GB and 16GB varieties. Samsung Galaxy Note 8.0 is going to offer itself as “phablet” on the international level. This will be a complete Wi-Fi tablet in the US. Samsung Galaxy Note 8.0, being a tablet with 8 inches to boast of, will directly compete with iPad Mini (7.9-inch). Samsung Galaxy Note 8.0 is going to be shipped with Jelly Bean Android 4.1.2 along with TouchWiz. In case, one is familiar with Galaxy Note 10.1, the Note 8 is not going to give a surprise in terms of its software capabilities. The new functionality along with Flipboard gives smarter headline previews. This tablet looks much more appropriate for reading eBooks. Here is also something to consider if you are looking at upgrading to the Galaxy Note 8.0 or any new consumer technology devices. Cell phones which have been used extensively during their lifetime or their models have become outdated are usually considered useless and eventually thrown in the trash can. The best solution instead is to opt for companies which can utilize and recycle them so that the toxic materials used in the phones don’t end up in landfills – which otherwise would have become an alarming source of pollution in the living environment. One such company within the United States which is at the forefront of the cell phone recycling industry is PaceButler. You can visit their website at Pacebutler.com. In order to know more details about them and their work which eventually benefits the environment as well as charity organizations, you can read Pacebutler Corporation reviews. This article was submitted to Tapscape by Accu-rate Media for the benefit of Tapscape readers.